Pearls and Jade® ‘UFM12’ | Florida Foundation Seed Producers, Inc. 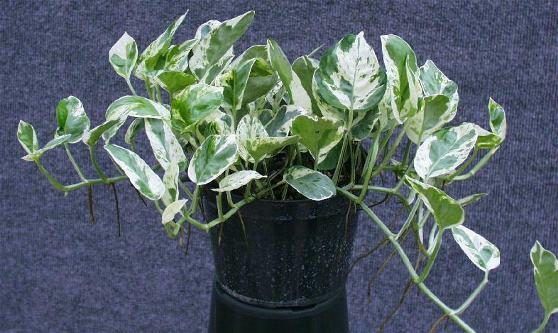 Description: Pearls and Jade® ‘UFM12’ pothos is small in comaprison to other pothos cultivars. 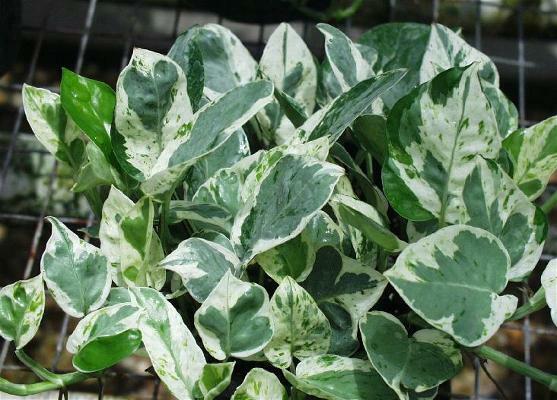 Mature leaves of Pearls and Jade® ‘UFM12’ reach an average of 7-8 cm long and 4-5 cm wide compared to 12 cm by 8 cm leaves on the parent plant ‘Marble Queen’ (unpatented). 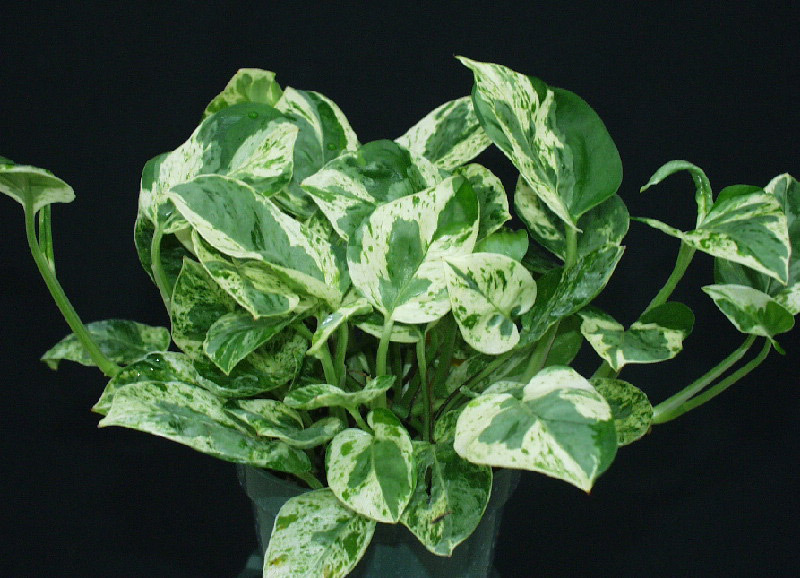 Pearls and Jade® ‘UFM12’ leaves display areas of white, gray, and green coloration in irregular patches. 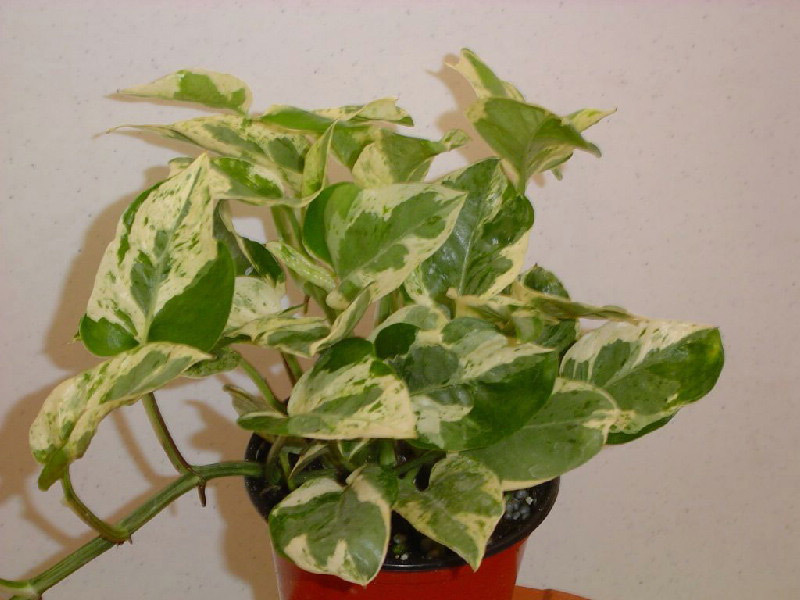 Color includes blotches, streaks and islands of green, grayed-green, and white.